How’s that for a smile, huh? That is the face of my Uncle Bill. For most of my childhood, Bill lived with my grandparents, but, when my grandparents died, he moved in with his sister, my mom. So Uncle Bill became a part of our everyday lives. He had the energy of a puppy, the joy of a four year old kid and the capacity for love of . . . well, there’s just no comparison. It doesn’t exist. Bill had an infinite capacity for both giving and receiving love. He taught me how to really HUG and how to love unconditionally and without hesitation. He didn’t know how to be dishonest. How could anyone get mad at that face? This July, Bill will be 59 years old. 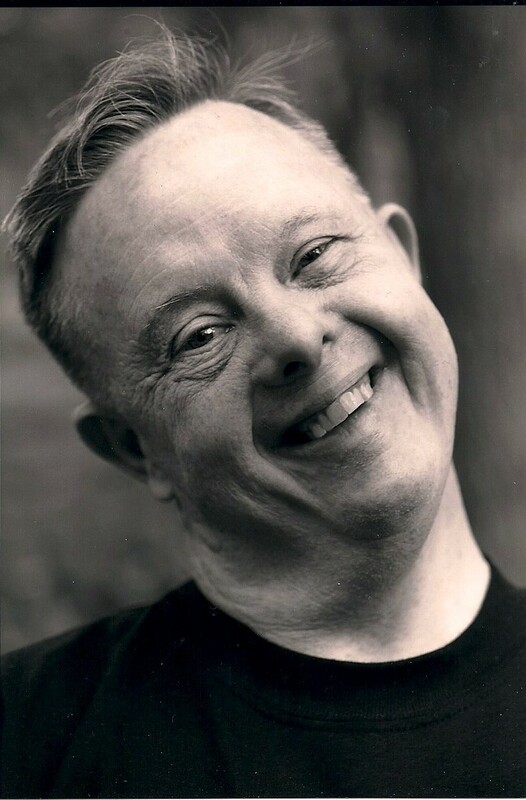 Most people with Down Syndrome develop Alzheimer’s, if they live into old age, and Bill is, sadly, not the exception to that rule. He’s lost a lot of his awareness, vocabulary, and his mental and physical abilities, but he’s still able to live at home. That’s because my mom has been caring so beautifully for him twenty-four hours a day, for the past twenty-five years. My mom, as a full-time caregiver, has had one absolute saving grace in recent years — a facility in Oklahoma called Full Circle. It’s an incredible place, where families can take their elderly and disabled loved ones for the day. It’s like Summer Camp for Grandma . . . except it goes on all year long, and it’s staffed by angels. It’s such a happy place. Any time I walk into Full Circle, I feel like I’m at a party. They engage the clients with music, art and numerous activities, sort of like a little school. Most importantly, however, the staff members give them love and understanding and infinite patience. I am always amazed at the pure light that radiates around this staff. I am beyond thrilled to support this organization in any way possible, knowing how vital Full Circle is to both my mom and all of the families it helps. So I’m writing about my Uncle Bill to encourage anyone looking for a worthy organization to support to consider donating to Full Circle. The funds they receive go directly to their operations. They are not bogged down by bureaucracy, and they don’t spend tens of thousands of dollars on red carpet galas at fancy hotels. They use all donations to keep the lights on and the doors open. They’re having an open house/bake sale tomorrow, and they’ve received a corporate pledge to MATCH any funds they receive, so timing is crucial. I can’t be there tomorrow to buy brownies, but I can send a few bucks online. If you want to see your tax-exempt dollars going directly to people in need, I urge you to give Full Circle some serious consideration. I have a beautiful six year old daughter with Downs. Thank you so much for sharing this! You can waste time, youth, and money. But people like Bill remind us that all love is well spent.